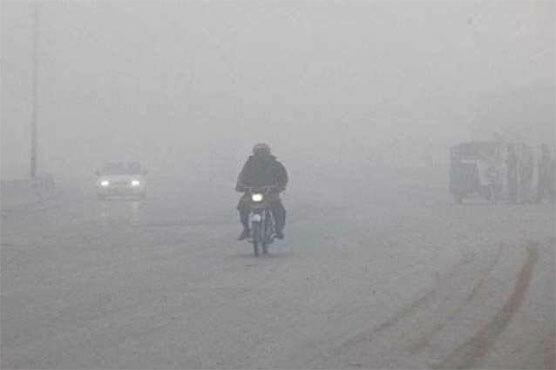 Dense fog immersed in several parts of Pakistan’s most populated province Punjab including, Lahore, Gujranwala, Sheikhupura, Faisalabad, Bahawalpur on Friday morning. As per the Pakistan Meteorological Department, a cold and dry weather is expected in most parts of the country during next 24 hours. An official of the motorway police revealed that the visibility level has dropped significantly as a result of dense fog. The fog has also affected the traffic moving on the roads causing accidents in Kasur, Depalpur and Kala Shah Kaku interchange leaving thirteen injured including ten children. After the accidents, the Motorway police has decided to close it from Pindi Bhattian to Gojra. The spokesperson has urged the commuters to avoid unnecessary travel on the highways and motorways. The commuters have also been asked to contact helpline 130 in case of any emergency.